Lovely, slow load transition in this launching soon page for a new proposal tool by Focus Lab. Also nice added touch with the text-select color matching the screenshot main color. A simple page but no lack of love involved. 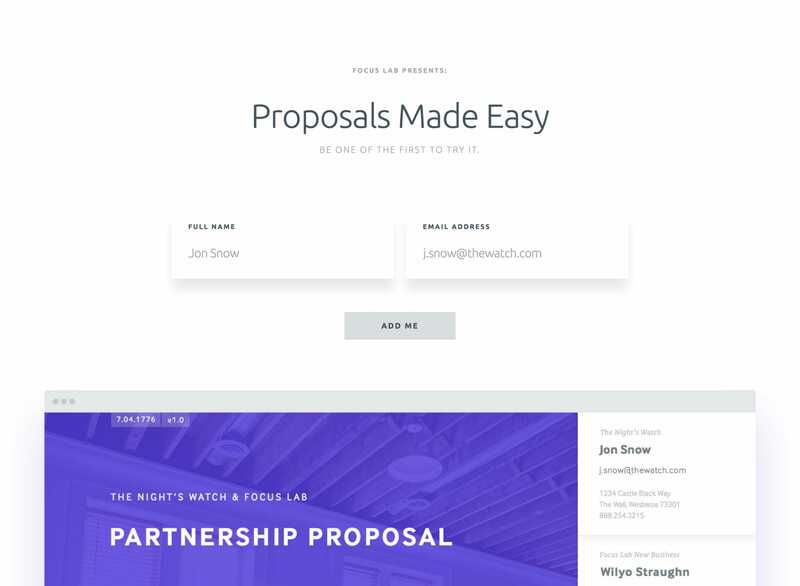 A tool for creating modern, web-based proposals.